Youth-Baseball-Equipment and Baseball Uniforms for the young grammar school kids were something of a rarity until the mid 1950's. America realized a coming of age period shortly on the heels of World War II. The young men of our nation called on to fight two global Wars during the period of World War II both on the European Front and the Pacific Rim Islands of the Far East. Shortly thereafter the youngsters of America received much more attention for all fazes of their lives including their sports activities. 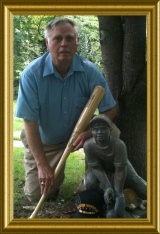 This duly enshrined part of our history is mentioned in an effort to point out that our Youth of that period had no earthly ideas playing baseball required such hoopla as youth-baseball-equipment. 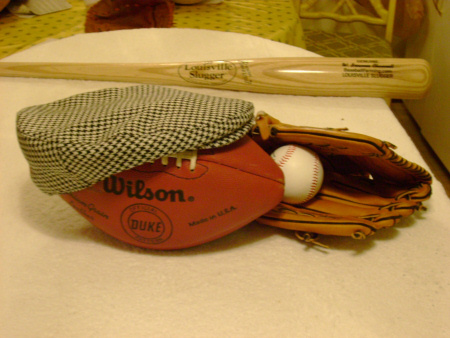 Any and all baseball equipment beyond a ball and a bat was scarce during the early part and into the mid 1940's. Post World War II America seemed to have a profound awakening and total concerns for the youth of the country. Being introduced to youth-baseball-equipment as a youngster there was no such thing as a youth baseball bat during my beginner baseball years. If we had a bat, any bat, we were as happy as little pigs wallowing in the mud. During this time in our lives if some kid in the neighborhood with a real store bought bat and especially one saying Louisville Slugger in bold print would draw a crowd. This new store bought baseball equipment was something we all had to touch, swing and pretend we were hitting a homer with the swing. A baseball bat of our own new or used, even a bat which had slight break would be gently nailed together and wrapped with tape, and we were tickled pink. Our baseball bat mending tape usually was the old sticky electricians black tape not the pretty white adhesive first aid tape used for medical purposes and bandaging our cuts and wounds. Playing on an organized team with plenty of used youth-baseball-equipment and a baseball team uniform was not even a part of our thoughts especially baseball uniforms were only for the High School and Professional teams. Baseball playing and the game of baseball with its rules and regulations, did not achieve its' greatness of fan and player devotion, by stopping us from "making do". Lack of equipment was not a dwelling point we quickly moved on to love the game of baseball and even to learn the baseball rules. There was a deep "want to in our mind and hearts." A little thing as minor as a shortage of youth-baseball-equipment never kept us from the game and "The Thrill of Victory." Been there, seen that, done that and experienced that. When the changes for providing more attention to the youth and their sports slowly begin like the waking of a slumbering giant. Most every young boy and girl took to this game of baseball and soon teams were becoming organized and well managed with equipment and uniforms. The Age of Little League had been born. 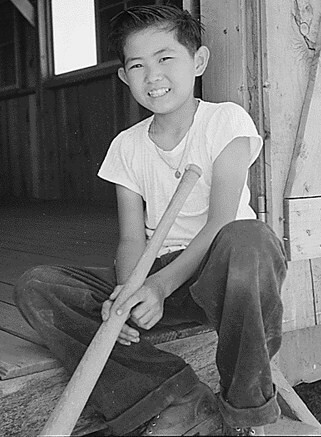 Now post World War II baseball bats were available and we even had those new store bought baseball gloves which we cherished and cared for every waking moment. Youth-Baseball-Equipment we know as our Baseball Uniforms. The 20th century at the least the first half of the century Wool was the common material in all baseball uniforms. Yes indeed, Wool! Try to get a kid today to suit up in a solid wool shirt and wool trousers in the hot, hot summertime and you would be considered cruel. Those old baseball uniforms were hot and boy howdy did they scratch and make you itch. The color of the stockings often foretold the name or nickname for the team. Just as today we have our Red Socks and White Socks Boston and Chicago know them well, and so does the whole World. There is much more to tell about this thing we know as Youth-Baseball-Equipment and the Youth Baseball Uniforms which we talk about on many of our other pages here at Baseballfarming. Pop a click on some of the listed pages below and like Youth-Baseball-Equipment but with a little more depth some interesting Baseball insight about the Equipment and Uniforms. Nice selection of bats at the baseballfarming merchants and sporting goods shopping ads--- browse around and find what you want.